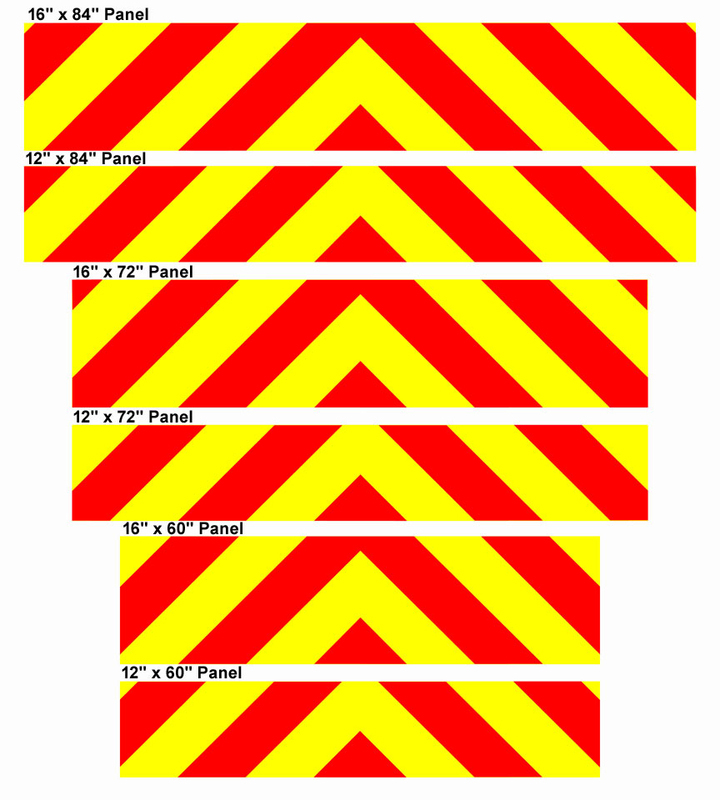 Our 12″ and 16″ wide Horizontal Bi-directional Chevron Panels are generally used on the rear or tailgate of a vehicle or truck. They are larger than our bumper size panels and therefore more visible from great distances. They would commonly be used on fire vehicles such as brush trucks. They are also well suited for utility company fleet applications. This type of panel is used for NFPA or standard applications. That simply means that they can be used for fire trucks since they use a 6″ stripe. 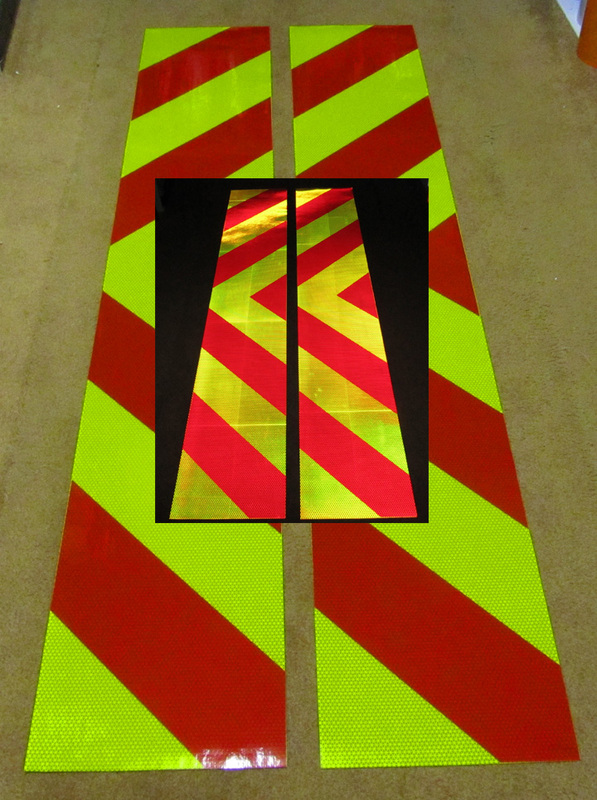 For NFPA applications you would use the lime and red like in the picture below. 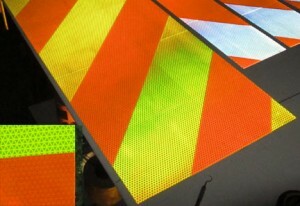 You can also get the panels in orange and fluorescent lime, red and white and orange and white. 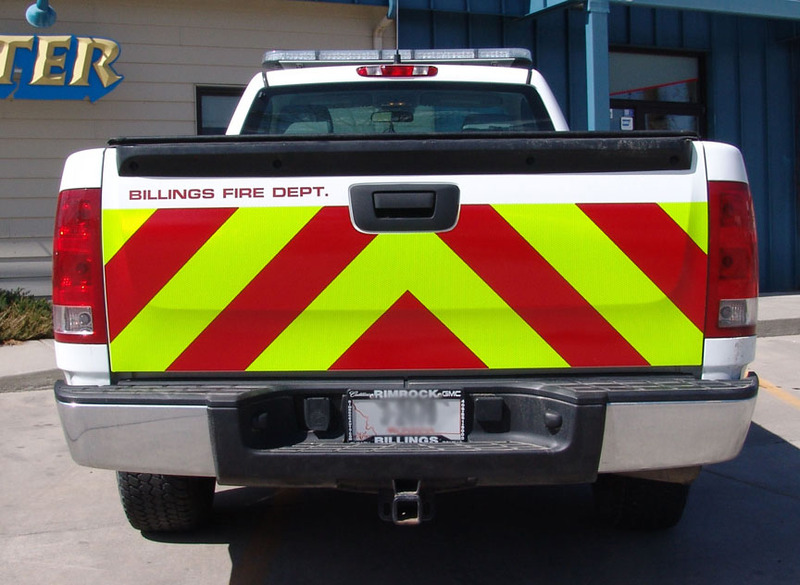 The white and orange and white and red panels are effective on vehicles that are yellow or tan where a lime may blend in too much. Overall, red and fluorescent lime or orange and fluorescent lime are the most visible and most popular. The picture below shows the orange over white and orange over fluorescent lime. Keep in mind that these color combinations would be used for non NFPA applications. 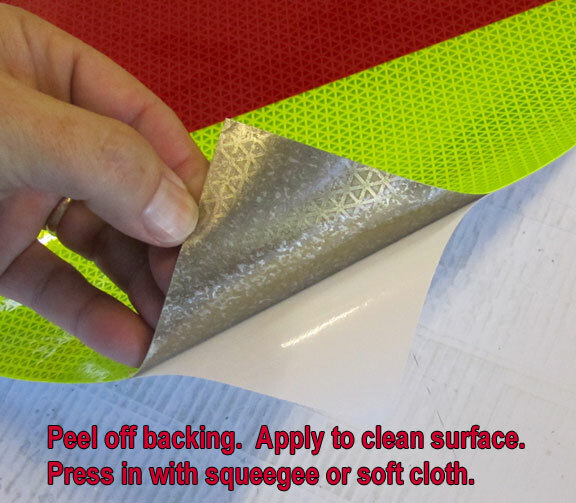 The material that we use for our panels is very rugged, however, it is also pliable and cuts smoothly and easily. 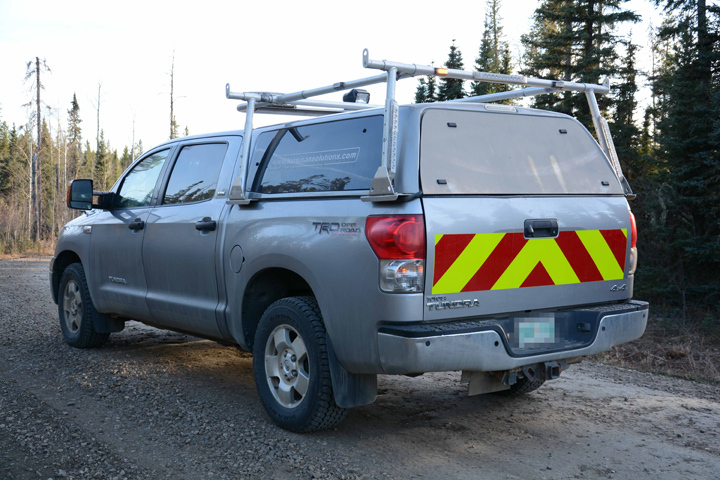 To determine the size you need just measure your truck and purchase the panel that is as close a fit as possible. If necessary you can purchase a panel that is a little longer than you need and then trim both sides with an exacto or scissors. As you can see from the image below, the panels are available in several widths and length combinations. Panels are available in the following color combinations. It is important to keep in mind that although white is brighter than fluorescent lime, it is not necessarily more conspicuous. White tends to blend in with other white lights such as car headlights, street lights, etc.. Also, the contrasting color, orange or red, needs to be less reflective to provide the necessary contrast. A 2 or 3 to 1 contrast is recommended. In other words, if red were as bright as lime they would blend with each other and be less effective.